These are harder to keep updated, but you can find a lot of my work there. This is what most people are checking out! My Collection, all 8000 + models listed here. Now a warning, these pages are ALWAYS under construction. I do my best to keep them updated, but there are always new models coming in! 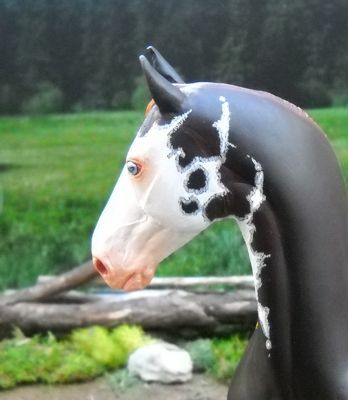 From time to time I might have some assorted bits of Custom Model Horse Tack for sale. You can also order tack to fit certain models as well. 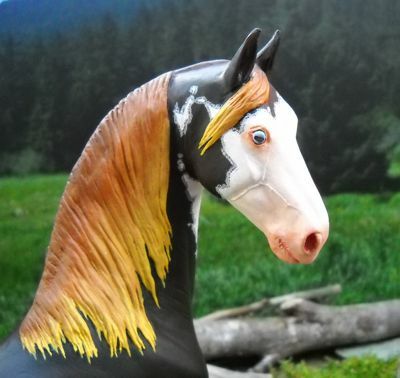 The Online Model Horse Galleries Information on time payments, PayPal, and Orders. References & Comments from my Very Happy Customers! The contents of this web page is copy written and property Kollean Gouyton of Stone Wolf Creations.